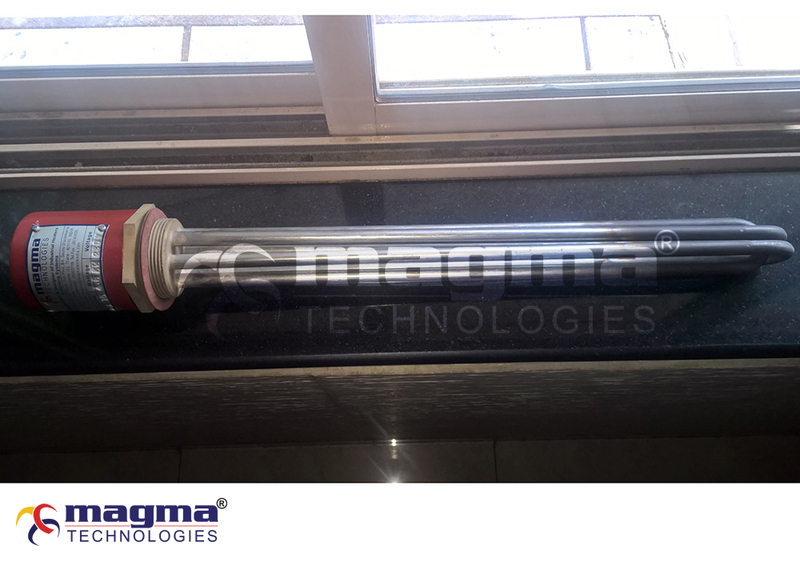 MAGMA Threaded or Screw Plug heaters are used for heating gases and liquids in tanks or vessels. These elements are designed to be immersed in liquid so that heat transfer will occur at a rapid rate, enabling quick heat up times. The direct immersion method is energy efficient.All types of oils and heat transfer solutions can be heated using these compact easily controlled units. It is used in the food and beverage industry, laboratory clinics, applications involving hydraulic oils and lubricants. It is also used in heating up flammable liquids or gases which require explosion proof housing. 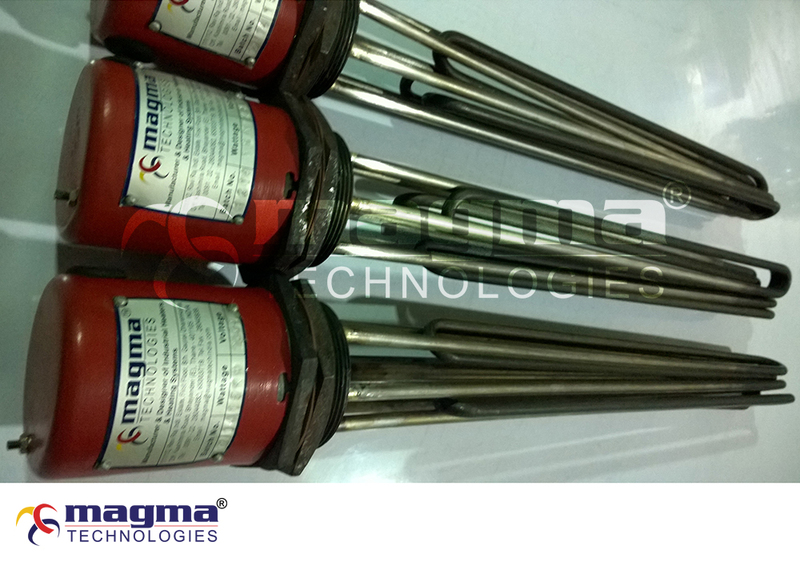 MAGMA Screw Plug heaters consist of bent tubular elements that are brazed or welded into a machined pipe thread fitting through matching pipe coupling, half coupling or welding flange. Sizes of screw plug heaters are available with ½", ¾", 1", 1¼", 2" and 2½" pipe threads. A wide selection of screw plug sizes, kilowatt ratings, voltages, sheath materials, terminal housings, and thermostats makes these compact heaters ideal for all types of applications. The screw plugs are available in steel, brass or stainless steel. 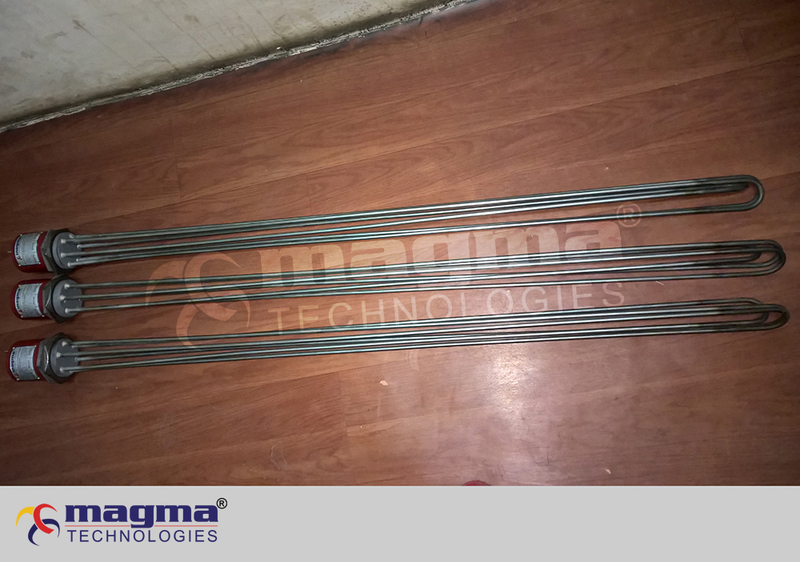 The sheath materials used are copper, steel and stainless steel in addition to titanium or the more exotic alloy such as Incoloy® and Inconel®. They are largely energy efficient and easy to regulate. There are three different types of screw plug heaters based on the type of applications: water application, heavy oil application, and light oil application. The applications are largely dependent upon the watt density (wpsi, or watts/psi). The water application usually requires 55 to 80 wpsi whereas the light oil and heavy oil applications are respectively 20 to 30 wpsi and 5 to 15 wpsi. Screw plug heaters are an easy way to heat up solutions in smaller containers that also require controls. In addition to the general use of boiling water and freeze protection, it is extremely useful for the purpose of steam generation. 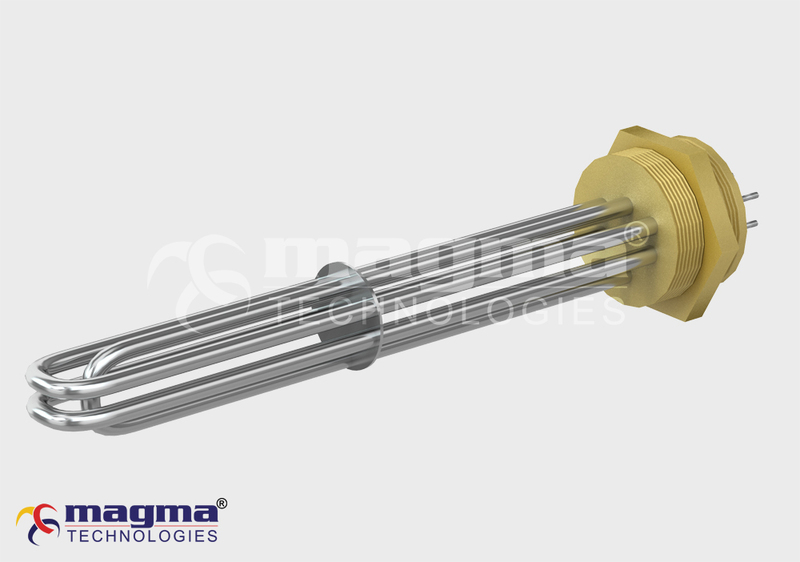 Screw plug heaters are also used for process water and solutions such as soap and detergent solutions, soluble cutting oil, and demineralize or deionized water. One of the advantages of electric heaters in the industrial setting is that the electric nature of the heater makes it a perfect choice for heating flammable solutions.